To make most of your trip in Tokyo, a local multilingual guide will give you general advice for your trip and make recommendations for places and restaurants to visit based on your preferences and needs. They will also answer any questions you may have about traveling in Japan. 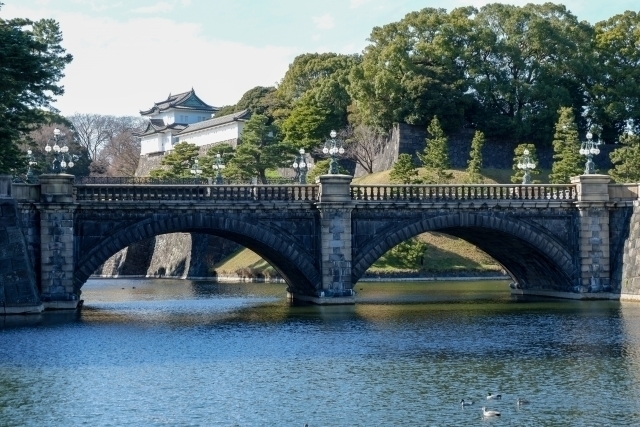 A guided visit to the Imperial Palace in the center of Tokyo will introduce you to the city's history and its significance for modern and contemporary Japan. The main part of the palace is not open to the public, so you will only visit the gardens that are accessible to visitors. Lunch or Dinner at a Japanese restaurant of your choice - the guide will give you recommendations based on your dietary needs and preferences. *Please note that the meal is not included the tour fee. A guided visit to the Imperial Palace in the center of Tokyo will introduce you to the city's history and its significance for modern and contemporary Japan. The main part of the palace is not open to the public, so you will only visit the gardens that are accessible to visitors. Admission is free. The guide will send you off to a nearby subway or train station that is convenient for you. The starting time and meeting place can be customized free of charge. Extensions are possible for an additional fee. Casual Tokyo Full Day Tour by Prvate Guide. Tokyo evening walk ending up in a local tavern.